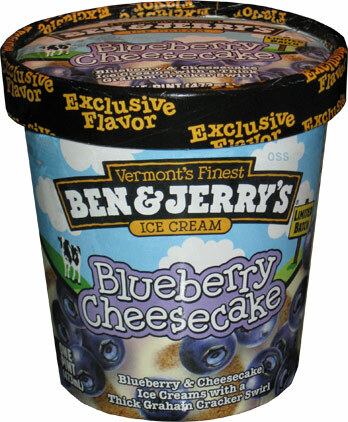 [New for 2011, Returned in 2012] It seems like it came out forever ago, but I finally got my hands on the Walmart exclusive Ben & Jerry's Blueberry Cheesecake ice cream. I was hitting 3 or 4 walmarts trying to find this stuff when it first came out, and now I finally have it here. Sure, I don't expect to like it, but I got two assuming my wife would. think about it : If I say cheesecake, can't you taste cheesecake? 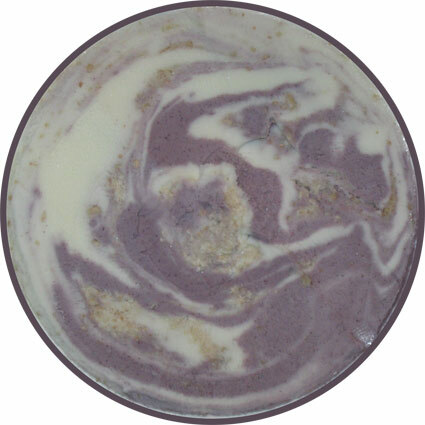 So we've got blueberry & cheesecake ice creams with a thick graham cracker swirl. Now remember, I don't really dig plain cheesecake. I prefer cheesecakes where the cheesecake flavor is secondary. That said, this flavor is just like B&J's Strawberry Cheesecake where the cheesecake overtakes pretty much the whole pint. Even when I specifically aimed for the 90% blueberry parts, all I can taste is cheesecake cheesecake cheesecake. That's not to say this isn't a well made ice cream, nor does it mean that I didn't spend several minutes digging out the graham cracker swirl as I scooped my wife a bowl. I love graham, and if there's enough of it on my spoon, i can handle the cheeziness. I just wish there was alot more blueberry flavor. Why is it that sometimes the cheesecake overrides everything, and then other times it takes a back seat like in B&J's Pumpkin Cheesecake? Buy Again? yes, but for the Mrs. Cheers..I found your website when doing a search for B&J's Rocky Roadish and learnt about blueberry cheesecake. I had no idea it was available.. I don't go to WM much. Fortunately, a Walmart close to me carried it and I was able to get a pint (2 actually). Great to see someone else with the same passion, although mine is just for B&J flavors. I'm very disappointed at their chunk spelunker service, tho. I loved the blueberry cheesecake ice cream! Can't wait to get some more! More graham crust would be great! it was an exclusive and limited, so unfortunately who knows if it will ever return.